Apparently the Davy’s owned and rented the RIC barracks next door. The barracks was not a British Army Barracks but a Royal Irish Constabulary Barracks. The British barracks was a two storey building to the right of these cottages. Now curious about any records that might be available from the 1900 – 1930’s. Any comments or updates welcome. 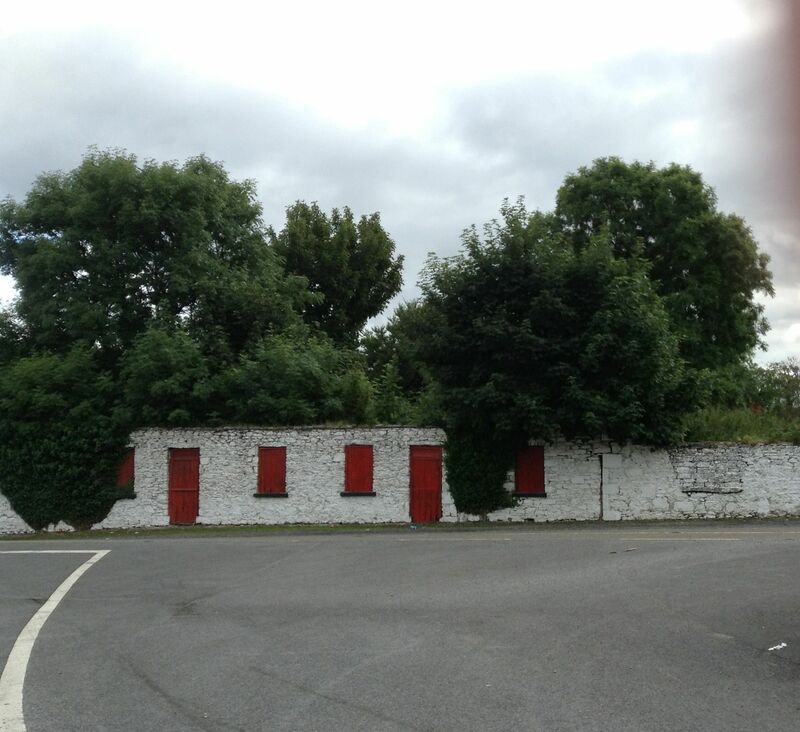 The two cottages with the red doors were not the barracks. The barracks was a two storey building to the right of these cottages. Quick question do you reckon that the RIC might have records that I could research about my Grandfather James Joseph Judge of Carracastle…I have a funny feeling he might have left Ireland because of the unrest and or their may be a particular story behind his departure. If you are on facebook there is an RIC facebook page and you might be able to get someone to look up the info on your grandfather.